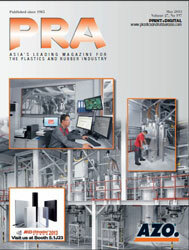 Vietnam’s plastics sector will maintain its strong growth of 14-16% in the next few years due to its high consumption capacity, according to the Vietnam Plastics Association (VPA), during a presentation it gave, against the back of the Plastics & Rubber Vietnam show, co-located with Propak Vietnam, held from 1-3 March in Ho Chi Minh City. 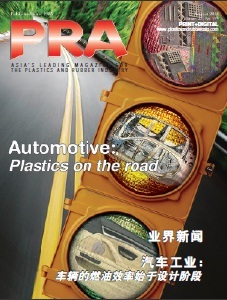 Though Vietnam’s plastics industry is relatively young, it is one of the fastest growing industries, sustaining an average annual growth of 16-18% between 2010-2015, according to the Chairman of VPA, Ho Duc Lam. Backed by a population of 90 million, VPA expects growth of the sector to be supported by continuous demand in the domestic market. Plastics production output per capita increased sharply to 41 kg/year/person last year, from a little less than 4 kg/ year in 1990. Compared to developed countries like Japan, where it is 118 kg/ year; US: 155 kg/year and EU: 146 kg/year, Lam says the industry has a long way to go. Of the sector types, packaging accounts for 37%, followed by consumer (27%), construction (18%) and technical products (15%). Last year, plastic exports rose by 12.4%, with major export markets being Japan (22%) and the US (14.6%). A drawback in the industry is its heavy reliance on imported raw materials, like polypropylene (PP) and polyethylene (PE) resins. It imports almost 90% or an average of 4 million tonnes of raw materials while domestic production totals 1 million tonnes. Lam also went on to say that by 2020, processors will require 5 million tonnes of raw materials, thus the need for more local output. Lam emphasised the need for cutting edge technology, if Vietnam is to scale-up its production with more technical and higher value-added products. Thus, the P&R Vietnam show, which was held over an exhibition space of 9,600 sq m, and featured 444 exhibitors from 28 countries, was the right platform for technology updates. The investment has paid off, as the company recently sold a wood composites profile line to a local/European joint venture, apart from the previous sales of small/ medium pipe lines, said Bonato. 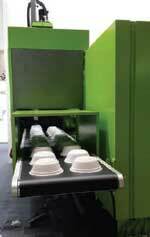 One way of being ensconced in the domestic plastics sector is to have local offices. 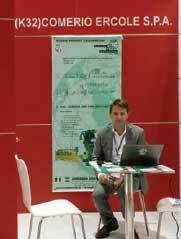 Austrian firm Engel, which is the world’s largest injection moulding machine maker based on sales, is doing just that. While it has already supplied more than 240 machines to transplants in the country, like South Korean car maker Kia and electronics giant Samsung, it “needs to be present to boost sales,” said Christoph Steger, Chief Sales Officer, who was at the show. With costs in China escalating, production is shifting to Vietnam due to its lower cost of production and lower wages. In fact, Vietnam is fast becoming the “new China” with automotive makers like Ford and Toyota investing heavily in assembly plants. Thus, Steger says the company expects more enquiries. Another factor is to be closer to its customers and provide service, though Engel already has two service technicians in Hanoi and two in Ho Chi Minh to service the numerous machines already supplied. 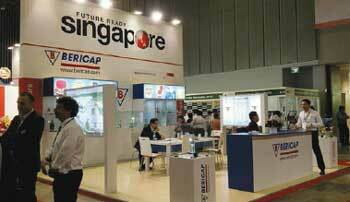 Meanwhile, cap/closure maker Bericap, might set up a facility in Vietnam, said Managing Director Andrew Tan. The company shut down its Singapore plant in December 2015, and has officially moved to its new plant in Kulai, Johor, Malaysia. Though the new plant is designed to supply a significant amount of closures to the growing region, said Tan, Bericap is planning to expand. 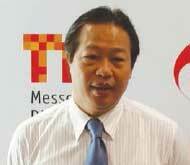 Tan said, “We are looking at setting up three to five satellite plants over the next five years. We want to be the first in the market in Indochina and are betting on new markets to provide a boost to our sales volume.” Last year, the Germany-headquartered company also started up a second manufacturing site in China, and now has 22 factories in 19 countries. Last year, Vietnam’s vehicle sales rose to 244,914, an increase of 55% over 2014, said the Vietnam Automobile Manufacturers Association (VAMA). While mainly a two-wheeler market, the number of cars sold has upped in the last few years as the affluence of the population has increased. All this bodes well for the Vietnamese tyre market, which has bounced back over the past three years. The passenger car tyre segment is expected to exhibit the fastest growth rate over the next five years, followed by commercial vehicle and OTR tyre segments. It is against this backdrop that companies like Italian rubber machinery manufacturer Comerio Ercole are eyeing prospects in the Vietnamese market. “We sold two calendaring lines to two Taiwanese factories operating in Vietnam last year,” said Alessio Ceriani, Area Sales Manager. One of the clients is Cheng Shin Rubber, which markets CST tyres. Having started off with the manufacture of motorcycle tyres at its Vietnamese plant set up in 2007, Cheng Shin has since then added on vehicle tyres. Meanwhile, Comerio’s other client, Kenda Rubber Industrial, operates a US$100 million tyre plant in Ho Nai Industrial Zone in Dong Nai province. It plans to expand and last year received the green light from the Vietnamese government for an investment of US$160 million in a passenger car tyre plant, also in Dong Nai. Kenda’s latest facility will most likely be its largest tyre factory and boast production capacity rivalling that of its operation in China, the company said recently. And this has also helped foreign machine makers to enter the market confidently. “It is a competitive market, that is true, but it is getting a little easier now because customers are looking for quality,“ said Bonato. Thus, as the country continues on its projectile growth, it will need more quality products/services for the infrastructure, construction and packaging markets.